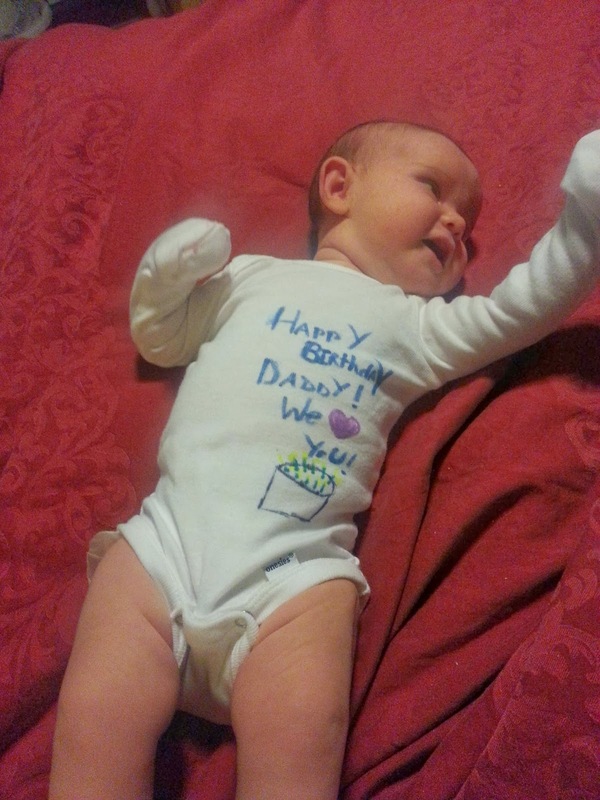 Letters to Baby: Happy Birthday Daddy! Today is your dad's 41st birthday. I slacked on getting a present, so I turned you into one. He was very happily surprised when I asked him to change you this morning and he found his present. Happy birthday my love. This year is going to be crazy, stressful, incredible and full of adventure. Thank you for giving me this amazing opportunity to be a mother to this amazing little girl. She's a little of you and a little of me and a lot of amazing. We are so blessed. You are the best thing that has ever happened to me, and together we'll make this our best year yet.